The Clinical Department is comprised of four Counselors, an Occupational Therapist, an Instructional Support Teacher and our School Nurse. The department meets weekly to discuss the emotional and social needs of each student at Hill Top. This allows the department to help the students be successful in all areas of their day-to-day challenges while living with learning differences. 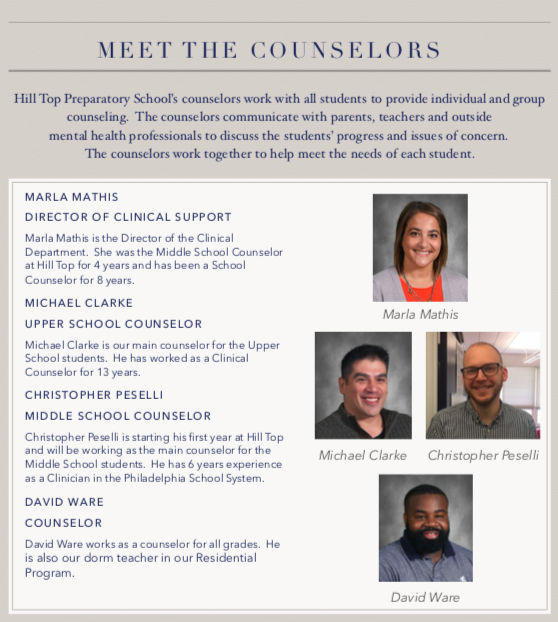 All students at Hill Top are assigned to a group comprised of approximately 6 to 8 students. 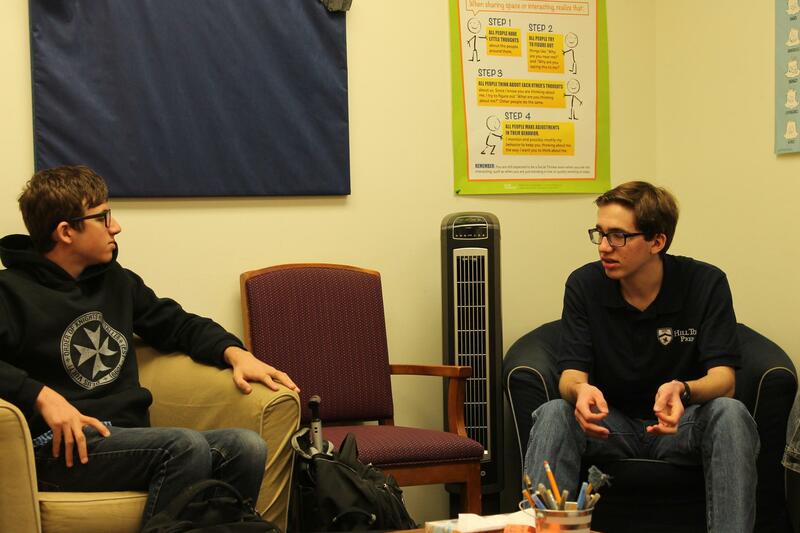 The groups meet twice weekly throughout the school year. 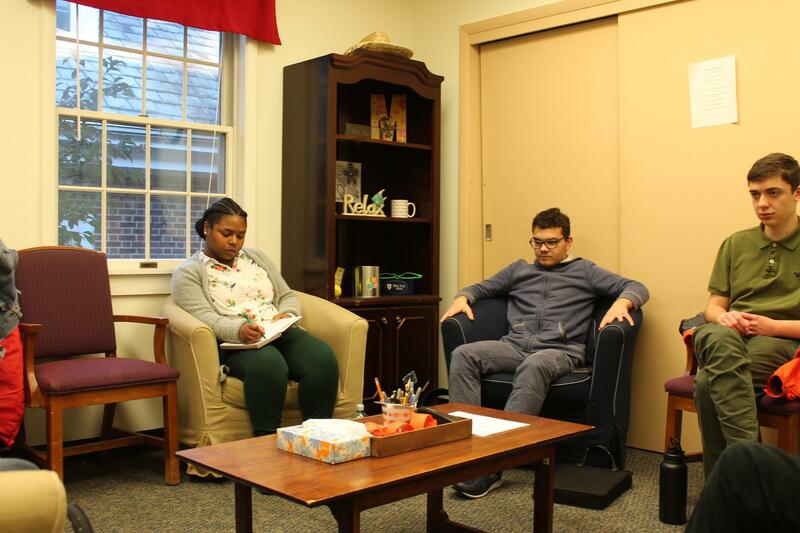 All group sessions are encouraged to be confidential to help the students feel comfortable when sharing about personal experiences and day-to-day challenges. While the topics will be addressed by all of the groups, the focus will vary depending on the age and maturity levels of the group members.